Monday night, the illusionists from Carlino put on the performance of a lifetime. They made 23,000 new vehicle trips that would visit their regional shopping district simply disappear (This is the number they cited a couple of months ago, but they lowered it again Monday night!). How did they accomplish this voodoo? Their paid traffic consultant simply told us not to worry. Traffic won't get worse. But you know better: if you've suffered in the daily traffic jams on Sproul and Springfield Roads, you know it's not possible to add 23,000 new vehicle trips to area roads without traffic getting worse. But Carlino would have you believe that restriping Sproul and adding turn lanes to Sproul at the Dairy Queen and to Lawrence at Popeye's Chicken is all it will take to make our version of Long Island traffic vanish. Don't you hear this from every developer's traffic engineer, that they won't be making traffic worse? They throw up snazzy charts on a screen and repeat fancy engineering lingo and try to convince you of something "you know just ain't so." Believe your own eyes, though. If Carlino builds a 47 acre shopping district intended to draw customers from all over the area (including the Blue Route corridor), your frustrating drive will get worse. Bet on it. Carlino's traffic consultant would also like you to believe that PennDOT is fact checking everything she says. Not true. PennDOT does not keep any record of the ratings of intersections, nor do they send engineers out to verify after the fact what the developer's consultant has claimed about a particular intersection. According to one PennDOT engineer we spoke with, they just don't have the resources for that. They don't even keep a data base containing information on the level of service of intersections in Pennsylvania. So they have no idea whether Route 1 and Springfield Road is a failing intersection. Or Sproul and Route 1. They rely entirely on the developer's own traffic consultants for that information. So that chart Carlino's consultant put up on the screen Monday night showing the "level of service" for each intersection? That's her paid opinion, kind of like a paid expert in court who's hired to make a legal team's desired argument. Or like pipeline corporations self-reporting spills to the EPA. How likely are you to get the whole or even partial truth when there's no state agency looking over their shoulder? Just because there's information in a chart on a screen, doesn't make it true. Here's another really astonishing PennDOT fact: if an intersection is deemed to be "failing," the developer is not required to do anything to fix it since the added traffic volume from their shopping center to that intersection can't technically make the intersection worse. There's no grade lower than an "F." In other words, PennDOT will not require Carlino to address Route 1 and Springfield Road or Route 1 and Sproul, the root cause of the horrendous backups in that area. No Midas could mitigate traffic volumes here, either. It would just cost too much. The bottom line is that our worsening traffic is coming from somewhere. It's coming from new development. And this huge shopping district (consisting of all the stores and "upscale restaurants" listed below) would contribute more than 23,000 daily vehicle trips to our congested roads with unfixable choke points just down the road from Don Guanella. There's just no getting around that. In the end, this oversized center doesn't fit in Marple. Tell Carlino to renegotiate their price with the Archdiocese and come back with a smaller plan. You have to believe they have that option after Goodman's blunder two years ago. This is what Carlino's paid consultant presented. You're the jury in this matter. Do you believe this paid expert? two hundred yards into the forest. but the number and size of them would not. Telling the truth comes at a price and SMG is paying it. We have been relentlessly attacked by a group on facebook for simply relaying facts about this overly large shopping center proposal. One of the latest pieces of misinformation is that the stores listed above are only "placeholder stores" and therefore "we are lying." Consider some common sense. The names of these stores were taken from a document sent to the CDCA sewer authority which was probably not intended for public consumption. Unfortunately for Carlino, they sent this to a public authority which is required by "right to know" laws to make it available. Carlino probably never expected this to be seen until after their center was approved. So the big question, then, is: if these are placeholder stores, why on Earth would Carlino NAME them? The owners of these stores should be rightly upset (and considering legal action) for having their store names put on an official document and sent without their permission to a municipal authority!! If these are just placeholders, why not just list the stores as numbers and square footages? Would traffic volume change if some other restaurant filled a spot instead of Chipotle? What's more, this shopping center plan sent to the sewer authority is EXACTLY the same as the one shown at Marple Newtown High, with one small difference: the placement of the soccer fields. As with all things in this matter, who are you going to believe? Your own eyes, or people who were literally paying canvassers to promote Carlino's shopping center? 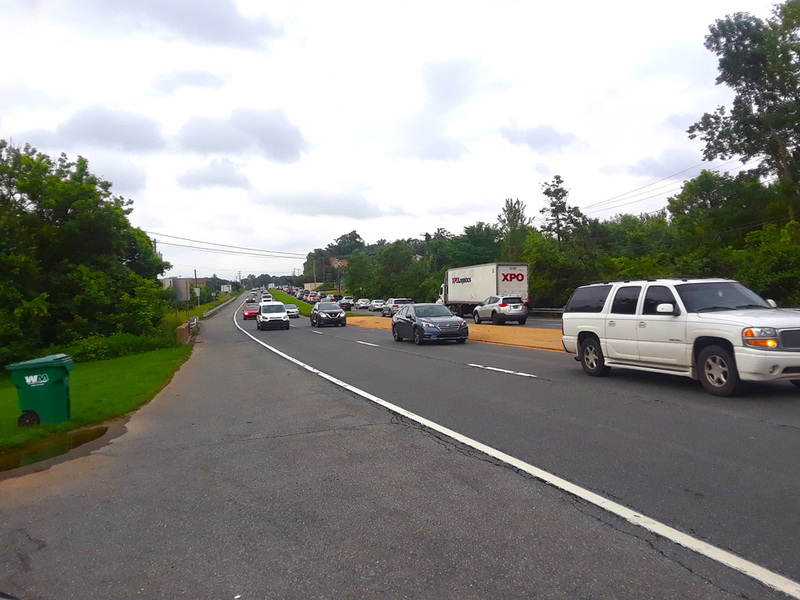 If you want to get a glimpse of what traffic will look like if Carlino builds a 47 acre regional shopping district in Marple, take a look at Concord Township. In 1991, Concord had just one large shopping center, Glen Eagle Square on Route 202. Since 2003, three more massive shopping centers were built: Concordville Town Center, Brinton Lake Shopping Center, and Branywine Mills Shopping Center (owned by Carlino). In addition to these four, at least six middle-sized strip malls have been added and yet a fifth large shopping center is in the pipeline for Route 202 across from Glen Eagle. These shopping centers were not built for township residents. They're intended to serve a much larger market. 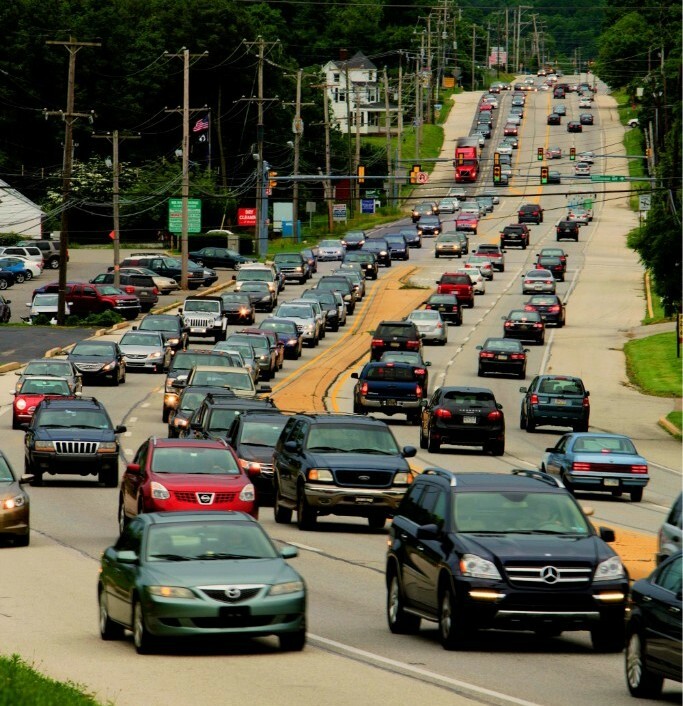 As the pictures above and below show, making Concord a regional shopping destination has had a horrendous impact on traffic volume even though there are three major state roads converging on the township: 202, Baltimore Pike, and 322. But as these roads have seen volume beyond what they can handle, pressure on secondary collector roads and cut through streets has increased proportionately. This has negatively affected the character of Concord Township and has impaired residents' quality of life. Like Concord's shopping centers, Carlino's "Town Center" is not just for Marple residents. It's intended for a much larger market. 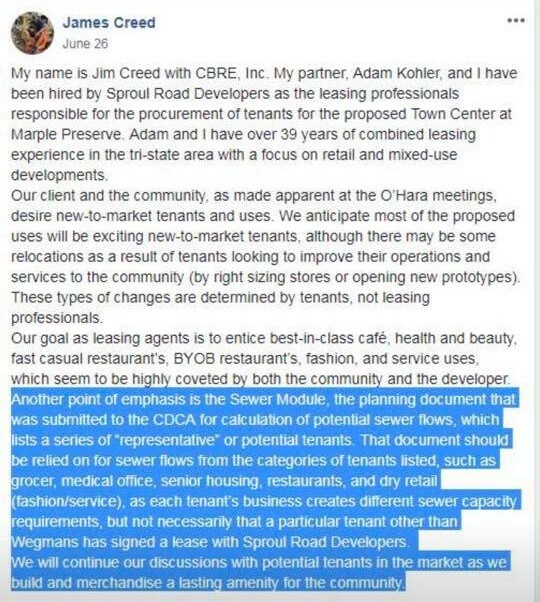 The documents Carlino sent to the CDCA sewer authority list the names of the three dozen stores they would build for (not including a giant Wegmans) making it clear that they want to draw customers from every township in the area and from the Route 476 corridor. Yet Routes 320 and 1 as well as many collector roads are failing. Our heavily congested roads cannot handle more traffic. Despite this, Carlino (from Montgomery County) would have you believe that some lipstick fixes to two intersections and restriping Sproul Road will somehow magically add the capacity necessary to move 23,000+ new trips created by their 47 acre regional shopping district. And their choice of intersections to modify is very telling. 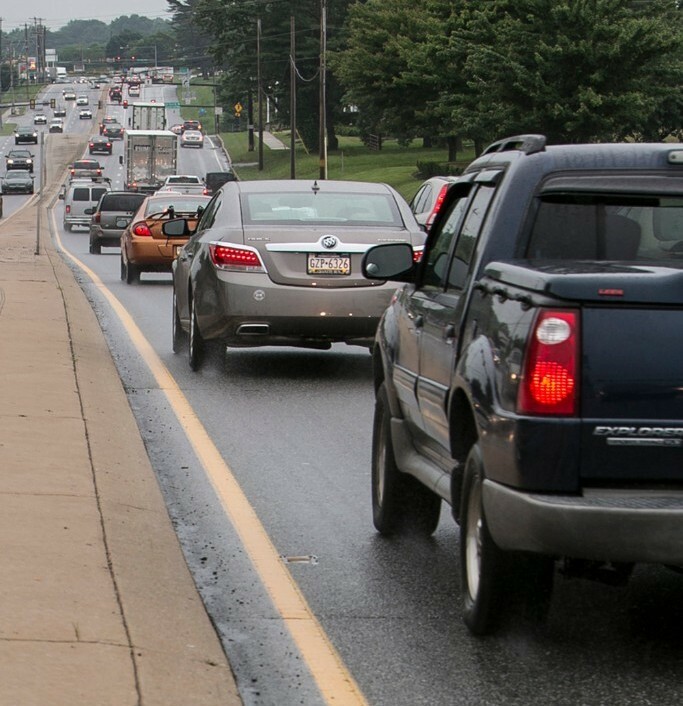 The turn lanes they've proposed on Lawrence Road at Sproul and for Sproul Road at Old Marple Road are an admission that their monster would be visited daily by thousands of new regional customers using the Springfield and Haverford exits of the Blue Route. Enough is enough. Marple and surrounding townships have more than their fair share of residential and commercial density. There are ten supermarkets within three miles of Don Guanella and just as many shopping centers. To name just a few: Marple Crossroads, Springfield Shopping Center, Lawrence Park Shopping Center, Drexeline, Springfield Mall, Olde Sproul Village, Ellis Preserve, Quarry Center, the endless West Chester Pike strip mall, Newtown Square Shopping Center, and many more. Does overly-built-out eastern Delaware County need another shopping center? If you're not happy with the prospect of waves of new regional traffic from Carlino's proposed commercial district, you're going to have to stand up and say so. Speak up Monday night at Marple Newtown High School. If you do want to speak at Monday's meeting, please write up your comments. That way, your written objections can be submitted to the township. 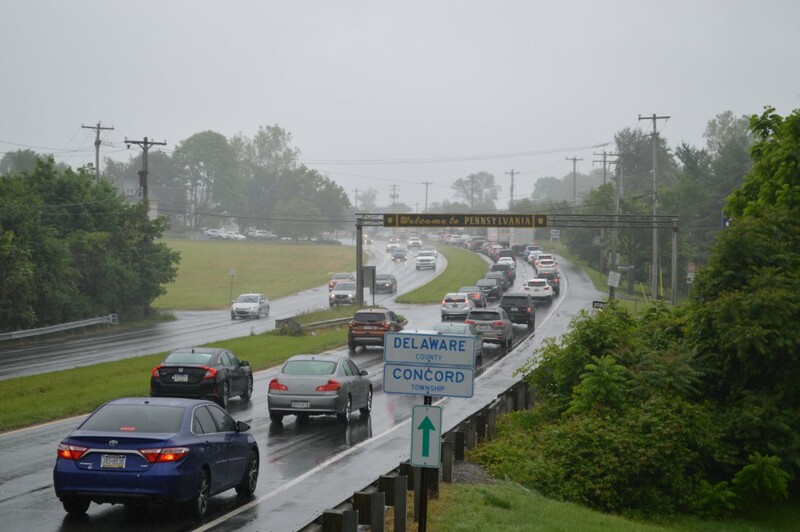 Despite having three major state roads converging on the township, Concord has been crushed by traffic from four large regional shopping centers. parlor tricks to make you look at the wrong problem. 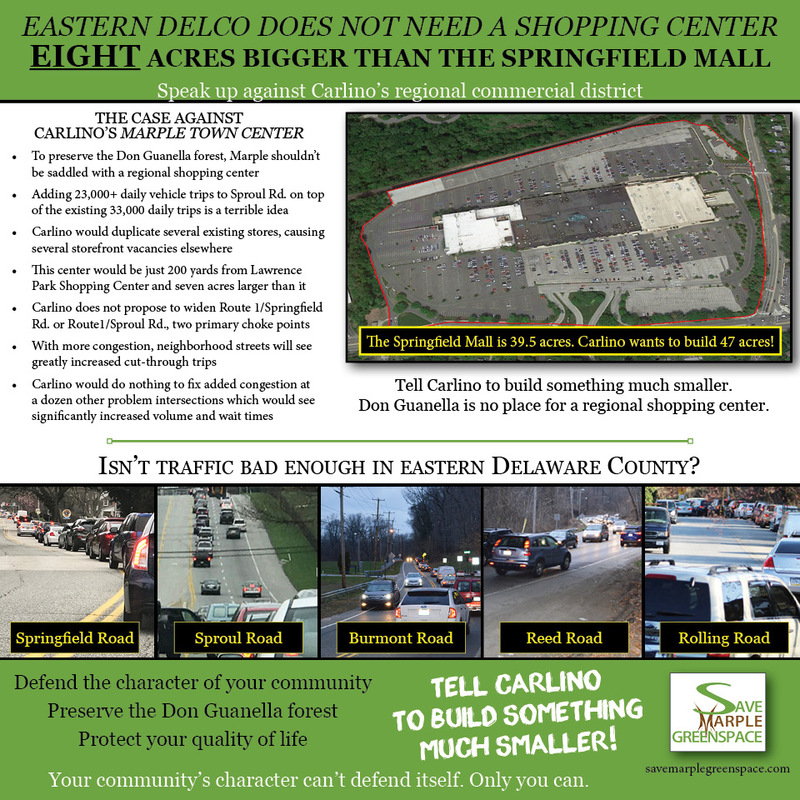 Carlino took out yet another full page ad in the Delco Times, this one touting the so-called traffic improvements they would make to accommodate huge new traffic volume from their proposed center. As you can imagine, the ad was pure smoke and mirrors: they used the classic magician’s trick of misdirection to make you look at the wrong thing and hoped you didn't notice the deception. We deconstruct Carlino’s magic in this latest article. If you want to have an impact and are looking for some way to help, PLEASE SHARE THIS WIDELY and plan to attend the meeting on the 13th. We don’t have Carlino’s millions for public relations. We do have something better, though: thousands of area residents who want to protect their quality of life and the character of their community. On August 13th at Marple Newtown High School, come armed with the facts and ready to speak against Carlino’s regional shopping center. Meeting starts at 7pm. 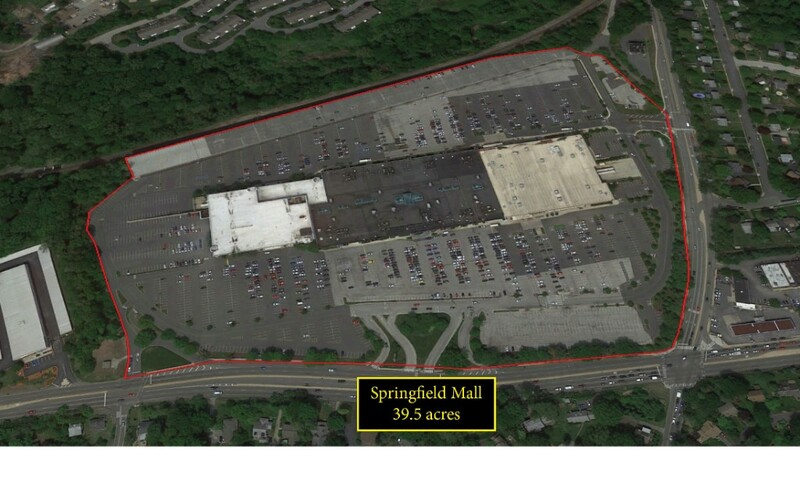 If you’re a developer trying to force a regional shopping center more than eight acres bigger than the Springfield Mall on Marple Township, which of these would you do? Would you misrepresent, distort, and mischaracterize what objectors are saying? Would you overpromise and hype the benefits of your mega center? 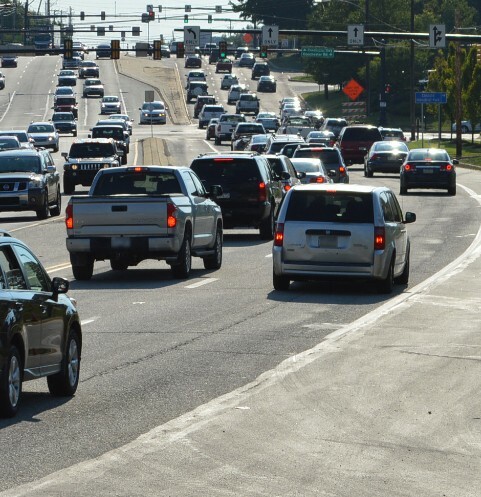 Would you understate the impact that new traffic volume would have on the community? Would you threaten to cut down the Don Guanella forest if you don’t get your way? Would you try to divide the community and discredit those working in the public's interest? Would you manipulate the leadership of an athletic organization and exploit their desire for fields in order to get support? Would you spend big money on ad agencies and full-page newspaper placements? Turns out, that if you’re Carlino Commercial Development out of Montgomery County, you’ve been willing to do all of these things. If you recall, this is the developer who said, "they didn't want to fight the community." On Thursday, July 19th, Delaware County's Planning Department reviewed and considered Carlino's residential "by right" plans and found them lacking. They recommended that the plans be "revised and resubmitted," which is essentially a rejection by the county planners of Carlino's residential threat. If you recall, these are the plans the out-of-town developers have threatened to build if Marple Township doesn't approve their shopping monstrosity. 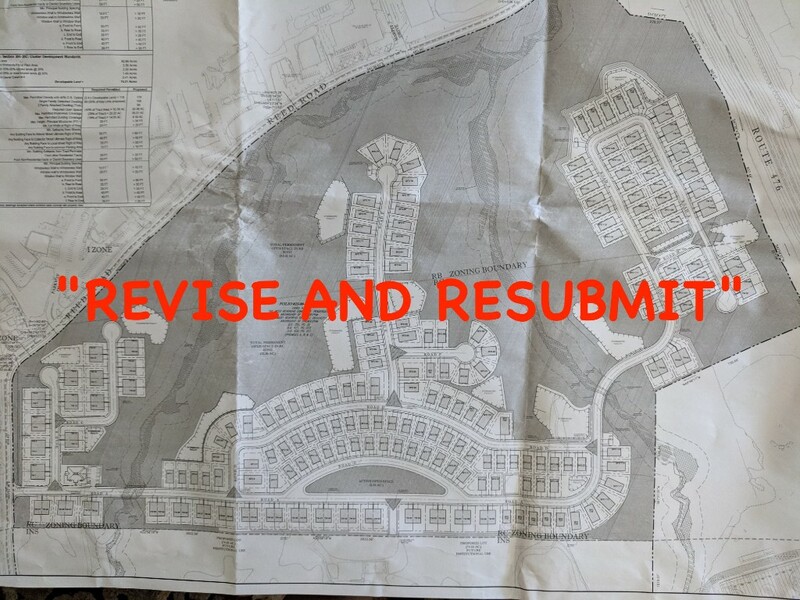 While the county planners suggested the plans conformed with the basic requirements of the zoning (regarding the nominal number of houses), they nevertheless found multiple other issues with the plans and recommended they be revised and resubmitted. Among other things, they pointed out that many houses are proposed to be built on steep and very steep slopes. This means that Carlino has to come up with an alternate plan and then officially send it back to the township, which will then send it back to the county for further review and recommendations. The short and long of this is that several dozen units will have to be eliminated from the plans. Back to the drawing board for Carlino. 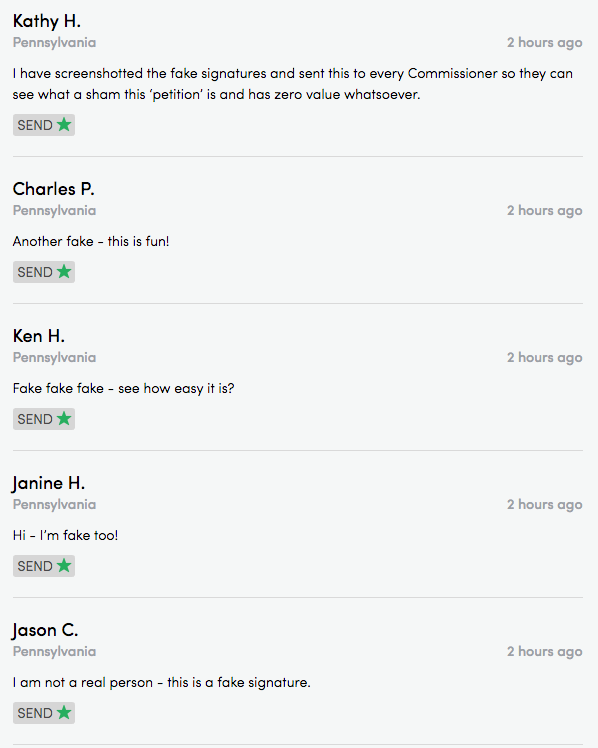 [See screenshot image below] Here's how you know you're doing the right thing by fighting an absurdly large shopping center proposal: the petition you posted to ask Marple's Commissioners not to approve such a large shopping center is signed by people using fake names and who make derogatory and libelous comments about SMG and its volunteers (don't worry: fake signatures are deleted immediately with the click of a button, but we're screenshotting everything and saving the IP addresses of fake signers which will all be "discoverable" for the inevitable lawsuit). It's clear that Carlino and their supporters will stop at nothing to ruin your quality of life. When the developer gets their boosters and employees to try to delegitimize our petition, that's when you know they don't believe their own propaganda. It's all about money to them, so they need to attack volunteer supporters of open space and common sense development. Meanwhile, our petition has gathered 1,348 genuine signatures of people opposing Carlino's "Marple Town Monster." With all these different names shown in this screenshot, does this not look like a coordinated effort? After reading this Delco Times editorial about Don Guanella and open space protection (or lack thereof) in Delaware County, we again call on County Council to invest in our county like other counties in our region have done. Once our remaining open places are paved over, there's no getting them back. "...the Delaware Valley Regional Planning Commission recently designated Delaware County as having the lowest percentage of open space among the nine counties in southeastern Pennsylvania. Delco checks in at 10.4 percent open space, based on the DVRPC’s study. That amounts to 12,675 acres. The average for counties in the region is 24.4 percent. Delco trails Philadelphia, with 13.6 percent and even Camden County over in New Jersey, which features 20.9 percent." 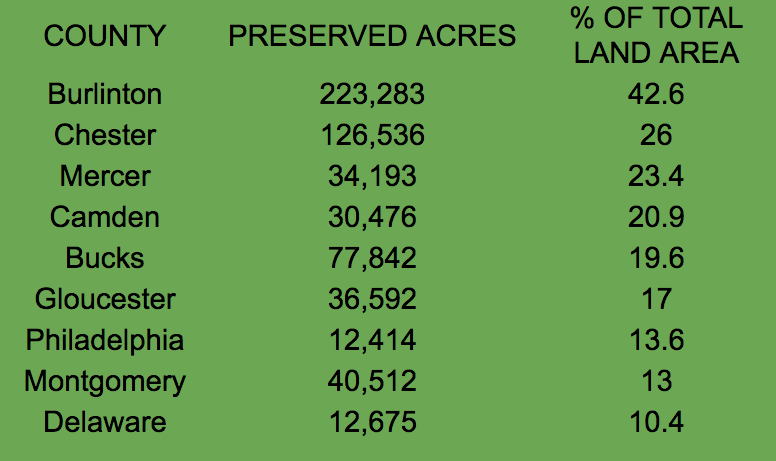 Keep in mind that a large percentage of the land being counted as open space in Delco was saved by the state (Ridley Creek SP, 2,600 acres), private foundations (Tyler Aboretum, 657 acres/ Newlin Grist Mill, 160 acres/ Waterloo Mills, 170 acres), and townships (Middletown's Darlington Park, Rocky Run Park, Linvilla; Radnor's Willow Park Preserve, Ardrossan). Delaware County government, by contrast, owns about 700 acres. Compare this to the 50,000 acres Chester County has had a direct hand in saving. In the nine suburban Philadelphia counties, bonds to protect open space have been used hundreds of times by townships and counties. While five townships in Delco have floated open space bonds, the County has never done so. It’s time Delco joined this not-so-exclusive club. Chester County by contrast has spent roughly $200 million mostly voter-approved dollars leveraging township funds to protect open space and residents’ quality of life. Township and county officials there know full well the quality of life benefits open space provides and the costs of community services it averts. A couple of nits to pick on some of the details mentioned in the piece: the size of the Don Guanella Village is actually 34 acres, not 38. Delaware County did not contribute any funds towards the preservation of Mineral Hill and only contributed about 30% towards Little Flower. This is not to say that the County should overspend on open space, but it's time for them to do some real heavy lifting to save Don Guanella.